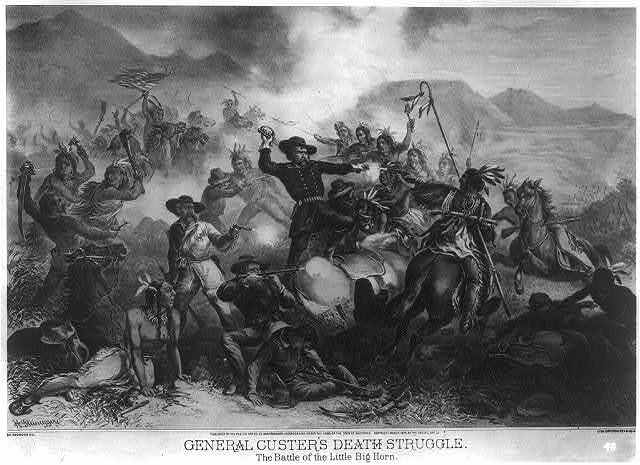 Is it possible that someone really did survive Custer’s Last Stand? Well, that’s the premise behind Custer Survivor– The End of a Myth the Beginning of a Legend a 2010 book written by John Koster. Over the years there have been a number of claims of survivors of Custer’s battalion at the Little Bighorn in 1876, but none has held up under close scrutiny–until now. Journalist Koster (The Road to Wounded Knee) carefully reconstructs the life of Frank Finkel, second sergeant of C Company. …This well-written and carefully reasoned argument is essential reading for scholars and students of the West and will be of great interest to anyone with even a passing interest in Custer and the Little Bighorn. It is definitely an interesting read. To be honest when I first picked up the book, my knowledge of the battle was limited to what I had learned in high school. But the book does feel authentic in the reconstruction of the life of Finkel. Basically Finkel, near the end of his life gives an off-the-cuff comment about how he survived the battle. By this point in his life he is a well-known and well-respected businessman in his hometown of Dayton, Washington. The author reasons that Finkel had nothing to gain by fabricating the story — and sets out to prove that some of the facts Finkle knew were not public knowledge and Finkel did appear to have some ‘insider’ information. There is also the recounting of the battle by several Native Americans who mention a soldier that escaped. According to the book, Finkel escaped the battle after being wounded when his horse was ‘spooked’ and galloped past the Indans. Finkel was not the only soldier to accomplish this — one had escaped and would have probably made it to safety except the soldier took his life. Of course, one lingering question many ask is why wouldn’t Finkel come clean earlier. As Koster correctly points out, if Finkel’s escape was seen as abandonment he could have been court marshalled for the offense. Amazon readers give this a rating of 3.5 out of 5. I would give it at least a 4. This book is an interesting read — short and to the point. Koster backs up his statements and assertions with documents in true journalist form. Whether or not you agree with his conclusion, you will walk away knowing Koster put in the time and effort researching the subject before he ever starting to write about it.